Starkey, an Austin Texas native, died after obeying a Sigma Alpha Epsilon order to drink a bottle of alcohol. After Starkey lost consciousness, fraternity members removed his fraternity pin and pledge book and started to drive the unresponsive pledge to the hospital. However, after Starkey allegedly regained consciousness, the fraternity members took him home and placed him on a bed. Starkey was pronounced dead the next morning. A trial date has not yet been set for two Cal Poly students, Haithem Ibrahim and Zacary Ellis, accused of felony hazing in the death of Starkey. A motion hearing is set for Dec. 14. Fraternity members Adam Marszel and Russell Taylor plead not guilty to misdemeanor charges for furnishing alcohol to a minor and hazing resulting in death. In September, Starkey’s parents, Scott and Julia Starkey, filed a civil suit that accuses the fraternity and nine of its members of four counts of negligence and violations of Matt’s Law. 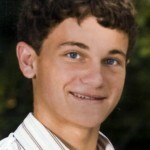 Matt’s Law was named in memory of Matt Carrington, a student who died as the result of a hazing ritual at Chico State University. The law allows for felony prosecution and civil actions against the perpetrators of a hazing that results in great bodily injury or death. This is a law that makes sense. No doubt boy’s like Carson and Brian Gillis would be alive today if they knew there would be no ramifications when they showed up at the hospital. This law will save lives, I hope California adopts it. The fact is that these kids are going to drink to excess with or without a law that prohibits it, if they can count on exhonoration when they seek help for extreme intoxication, then I’m all for it. These are young people we are dealing with, they should “always” be encouraged to seek help rather than take a chance that it will be their last. Cindy: thanks for the support.